Previous repairs to masonry gave the building a patchwork appearance. The building is located in a historic district and work had to meet commission approval. The building is typically rented to Boston University and Boston College students, so the mid-summer project had to be completed in time for fall occupancy. The key to repointing brick is to make just the right cut, according to consultant David Horton of Building Envelope Technologies. Cutting needs to be thorough and precise, fully removing the old mortar from the brick at a consistent and proper depth – typically, one inch. Cut too shallow and the new mortar won’t have enough body to cure, and bond properly to the brick. It will crack and fall out after a few years. Work too fast and you may miss some areas or accidentally damage the brick. When repointing vertical head joints, the mortar must be chipped out with a hammer and chisel, instead of being cut away with a grinder wheel, which could damage the brick above or below the joint. It takes a steady hand, the right tools and an experienced eye to do it right, according to Horton. In addition, choosing just the right brick and mortar is crucial, as it must match the look of existing brick and mortar. 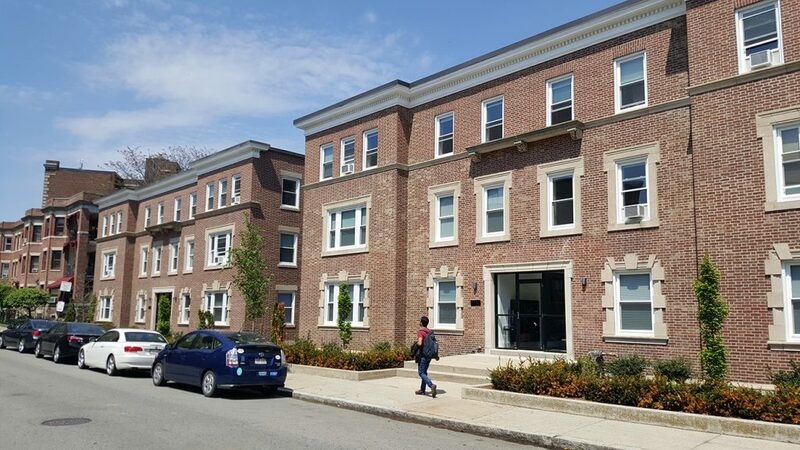 The difference between repointing the right way and the wrong way was evident from a glance at the two 16-unit buildings at 31-35 South St. in Brookline. 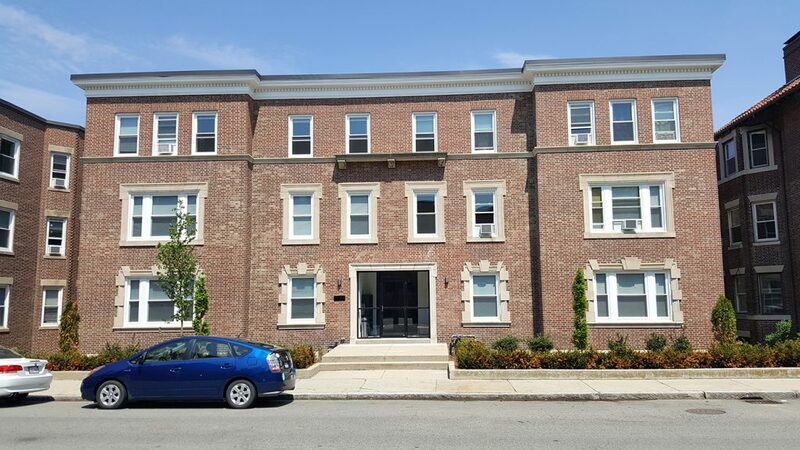 While the apartments had been renovated, the entire front of the building had to be repointed, not only to prevent water mitigation, but to enhance curb appeal. Horton and Construction Manager Jamie Maloney identified six potential bidders for the project and narrowed it down to two before choosing Statewide, which had the best plan and the most manpower available for the job. Horton and Maloney also had worked with Statewide previously with positive results. “I trust their workmanship,” said Horton, who has worked with Statewide for more than 15 years. Some bricks were also replaced to create a uniform appearance with everything being the same color, Maloney said. As the buildings are in a historic district, it was important to consider aesthetics, as well as performance. “There was a huge improvement in curb appeal and performance,” Horton said. One reason for the high quality, she believes, was the personal involvement of Statewide President Kieran Fitzgibbon. Maloney also appreciated that Statewide completed the project in time for new residents to move in on September 1, when college students began returning to school. “Statewide will be our number one choice on our next project,” she said.